I have not always been a follower of Jesus Christ, though I have always been around “religion” and can say I never doubted the existence of God. However, one of the things that used to really intimidate me was prayer. The priest or pastor seemed to have it right, and could recite these long, incantations with special holy buzz words that seemed to unlock the mysteries of the universe via God. I didn’t know the “formula” so my prayers, if I had them, were the learned thanks over the meal or the “now I lay me” type that a child prays before bed. They were anemic at best. It wasn’t until I was an adult that I met Jesus Christ. Early in my faith, all my incorrect assumptions of prayer still clung to me…and after a lifetime of hearing lofty speeches said over the pulpit I was a little intimidated. Then one day I heard this story, which I will retell to you. It is as clear and simple and pure as a warm sunny room. This is what prayer is. As I have matured in my walk, now I understand. Prayer is a conversation with the One who knows me best, loves me best and forgives me always. Jesus spent hours in quiet meditation with the Father, and was strengthened for it. Prayer. Now I know that it is yet another one of God’s gifts to us… and I can say, Amen to that. Hope you enjoy the story. As the man lay in the hospital, he knew he was dying from the cancer. There was no one to really care though. He and his wife had been divorced for many years and she was dead anyway. Their one child, a daughter, was estranged from him now. 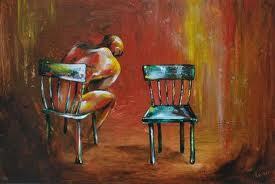 He sat quietly, lost in the pain of his regrets. His only company was the occasional doctor or nurse who would come in and check on him; always leaving with a dark countenance because they knew his time was close…they could not save him. One morning a new nurse came in. She was different, and she wanted to chat with him. “Mr. Thomas, I am Susan. The doctor has asked me to visit you today as he has noticed that you are very sad. I work at the local hospice and I thought you might want some company. Is there anyone I can call for you who should know you are here”? “Well, perhaps I could call your pastor or priest then”? Susan queried. “Oh no, no, that wouldn’t do. I haven’t been in a church for more than 30 years”, he answered. Susan understood, she had known this attitude in so many people. If only he knew, she thought, the real story. She too used to judge Jesus by the people who supposedly followed Him. It was only when she met Him personally that she came to understand that Jesus loved those people and her anyway, and came to this earth to show them a better way of living, through Him, not of themselves. “No, it is fine. I know you are busy, you go on.” he said. It went that way for weeks, with Susan coming every few days to see Mr. Thomas, and him rebuffing her efforts. Then one day, Susan was in the hospital and ran into Mr. Thomas’ doctor. She asked about him and the doctor told her his “time” was getting very close, only a few days. “If he has someone you should call, or maybe a priest for last rites of something, now is the time to do so,” the doctor told her. Susan was very concerned now, and went into full search mode to find Mr. Thomas’ daughter Jenny. She had learned from Mr. Thomas that Jenny grew up locally. Susan had too, so she started asking around if anyone had known her. As luck would have it, one of the nurses who worked at the hospital had gone to high school with Jenny. She told Susan she had married and moved away. That is all the info Susan needed. It was only a few hours searching on the internet, and Susan found Jenny and called her. Jenny was shocked and a flood of mixed emotions churned through her. This was an answer to her prayer, as she had recently given her life to Jesus Christ and was trying to move past the hurt of her childhood, her parent’s broken marriage and the absence of her father in her life. She knew she had to make things right with him, but did not know how to start. Susan agreed and hung up the phone. She was worried though, as she had seen Mr. Thomas the other day and was not sure if he would make it to the weekend. On a spur of the moment decision, Susan made another phone call and called the local parish. She explained to Father Anthony the situation and he came right away. Father Anthony knocked on the door of Mr. Thomas’ room and heard nothing. He peeked through the window and saw what appeared to be a very old man, gray faced and gaunt, sleeping. He gently let himself in to the room. Mr. Thomas heard him. Mr. Thomas opened his eyes and glared at the priest. “What are you doing here?” he demanded. The priest went out of the room and came back with two books; one written about prayer and one about the catechism. He laid them on the table next to Mr. Thomas bed. The next day, Mr. Thomas took a turn for the worse, and the nurses called Susan. They feared he would not make it until the end of the week, when Jenny was to come. Susan called Father Anthony again to meet her at the hospital. She had to leave a message, as he was out. Before she left, she took the time to call Jenny, who lived 6 hours away, to come now. Susan said a silent prayer that Jenny would be able to get there in time. Jenny took the call and said she would try. Susan arrived at the hospital a little later than she had planned, as traffic was horrible in the pre-Christmas rush. When she got there, there was someone already in Mr. Thomas’ room, so she waited outside. When Father Gabriel had tapped on the door, there was no response so he went in. Mr. Thomas lay there, raggedly breathing, staring into space. Father Gabriel noticed, so he stood at the end of the bed, and spoke to Mr. Thomas. “Would you like to pray with me, Mr. Thomas”? Gabriel asked. Mr. Thomas, do you believe in God? the priest asked. “Well, then lets start from there”, said the priest. “Do you know about Jesus Christ, his Son”? “Would you like to pray with me, and ask for God to forgive you? He will you know, if you mean it. He will wash it all away.” Father Gabriel said. “I told you, I don’t know how to pray. Can’t use all those fancy words. Anyway, no God could love me like that,” he said. You don’t know what I have done. Go on out now, you have done your good deed for the day.” Mr. Thomas retorted. “I will be back, Mr. Thomas, in the meantime, I will ask the hospital to put a chair in here next to your bed…maybe while I am gone you can just imagine Jesus is sitting in the chair, and you and He can have a good conversation before you go,” and Father Gabriel left. The sun was barely risen when Jenny finally arrived to the hospital the next day. It was too early to call Susan to tell her to meet her, so she decided to go in and see her dad, even if he was just sleeping. She checked in with the nurse and was shown to his room. When she walked in, she was stunned. As there was her father, half way leaning out of bed, laying across the wooden chair next to his bed. He was dead….but he had the sweetest look of peace and joy on his face. She wasn’t sure what to think of it. She just stood there, confused. She heard someone behind her walk in and clear his throat. She turned around startled. There was Father Gabriel. “I don’t understand,” said Jenny, why he is halfway out of the bed. He could have fallen!” she said in angst. “Oh no, no reason to worry Jenny”, said Gabriel. “Your father died just a he should have, he died in the arms of Jesus. That is why he is laying across the chair”. Once Father Gabriel explained the events of the day before, Jenny understood. With tears in her eyes she marveled at how good God was. He not only answered her father’s prayers, but He answered her own. Her heart was flooded with forgiveness and peace and wonder at how loving her Savior, her father’s Savior is. Activating Prayer, God's View vs. World View, Life lessons, Life Stories, Observations, What Is Truth? This story really made my heart so grateful for the gift of prayer. To think that I have the privilege, whenever I choose to speak with God. WOW! This was a lovely story! Thanks for sharing.